NYDJ, women's jeans brand that makes women of all walks say "YESSS!" to finding jeans that actually fit, wanted to speak to their consumers between the typical fashion seasons. 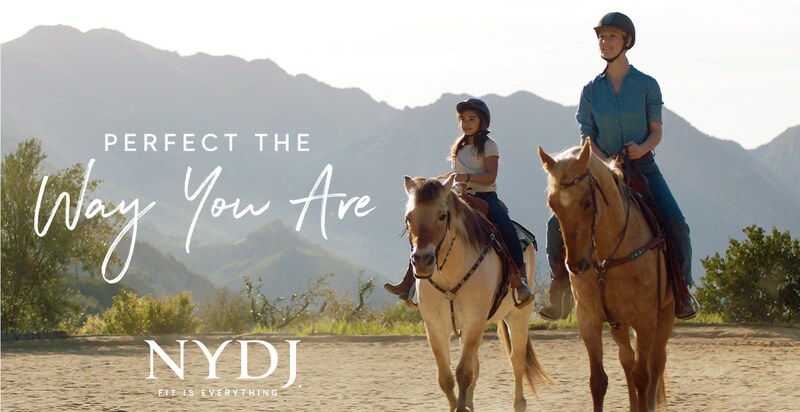 Mother's Day presented the perfect between-the-seasons opportunity for an NYDJ brand moment. 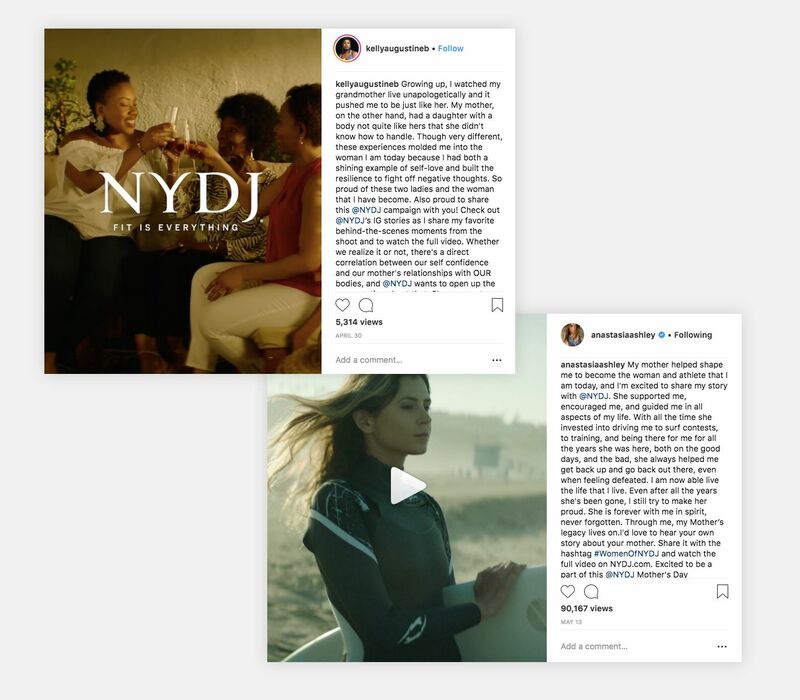 We decided to put a body positive spin on the holiday; a creative strategy that would reflect NYDJ’s “by women, for women” brand ethos and highlight the special role mothers play in shaping the way their daughters feel about themselves. We partnered with Sarah Koppelkam, author of the viral post “How to talk to your daughter about her body”, weaving the resonant words into an emotional, mantra- style campaign. Strategically featuring two influencers -- fashion blogger Kelly Augustine and professional surfer Anastasia Ashley -- in the core campaign spot led to even more organic buzz around the campaign. "I am in LOVE with this message! This is how we can start to see our bodies for more than just their size." "I saw this commercial on NBC and I had to look up this company because I was compelled to share this video. Words are so impactful." "Empowering and beautiful! Great job NYDJ!"